These boots are wonderful and very much value for the money! They are made of sheepskin and theyre also lined with sheepskin in the footbed. Very comfortable to wear without socks. If you have any doubt about sizing: size down! I have pretty narrow ankles and a low instep, which makes them a bit too slouchy, so be aware if you have the same kind of foot. Btw: my foot length is 25,5 cm and I bought size 39. If I plan to buy a second pair, it would probably size 38. Strong and nice barefoot sandals. Made of very good material. My son love to wear these sandals. These are the best sandals we have found for our kids. 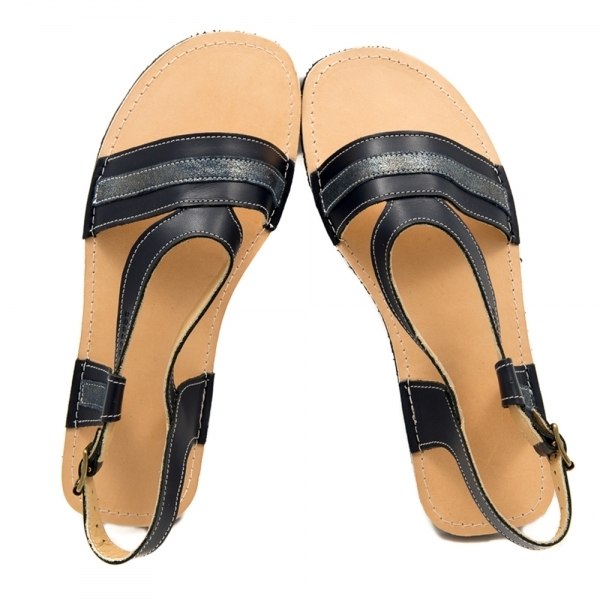 They find them super comfortable and we love how durable they are. Plus they are really cute! Bin total zufrieden mit den Schuhen! Sehr gute Verarbeitung. Wir haben die Schuhe schmaler machen lassen und sie sitzen sehr gut! Meine fast Zweijährige zieht die Schuhe von alleine an, dank Klettverschluss. Sie läuft damit durch die nasse Wiese und die Füße bleiben trocken. Sie läuft und rennt sehr gut damit und fällt praktisch nie hin. Mit der Zeit wurde das Leder weicher und die Schuhe passen noch besser. Ich hab schon die nächste Größe für später bestellt! Love those shoes. At first the only down side was, that my kid got redness on the skin from the leather at the top of the shoe. Where it touched her ankles. When the leather became softer, the redness went away. The shoes are easy to put on and strong. My son did choose the Squirrel by himself and this helped him a lot to accept the new shoes (usually he dislikes new clothes ;-)). Top quality. I have ordered these shoes for both of my kids this year again after I was satisfied last year too. They are totally fantastic since with good impregnation and natural leather cream they can resist any moisture even watered snow very well, they never let any wet come inside . And the best thing is the lining with natural wool - leather skin which perfecty gives the comfort of warm shoes for the whole time of wearing them in the snow. And I really appreciate that you started to make the larger sizes in the same - comfortable and great - shape as the smaller ones. I can only recommend them!